Designed in 1885 and patented the year after, Karl Benz' Patent-Motorwagen set the stage for all automotive revolutions to come. As one of the car companies that can truly lay claim to having been around since the very beginning, Mercedes-Benz can trace their proclivity for exceptional achievement as far back as the first cars themselves. 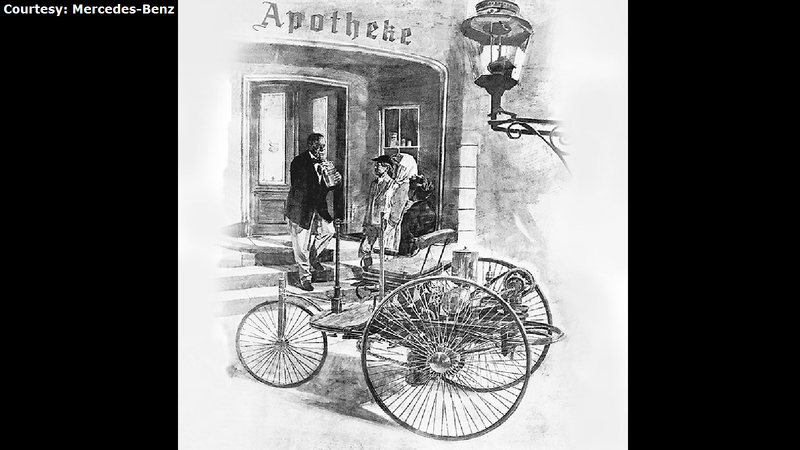 Although the idea of a "horseless carriage" was getting passed around by at least a few eager inventors across the Western world, it is Karl Benz and his wife Bertha who are commonly attributed with creating the first ever "true" automobile. 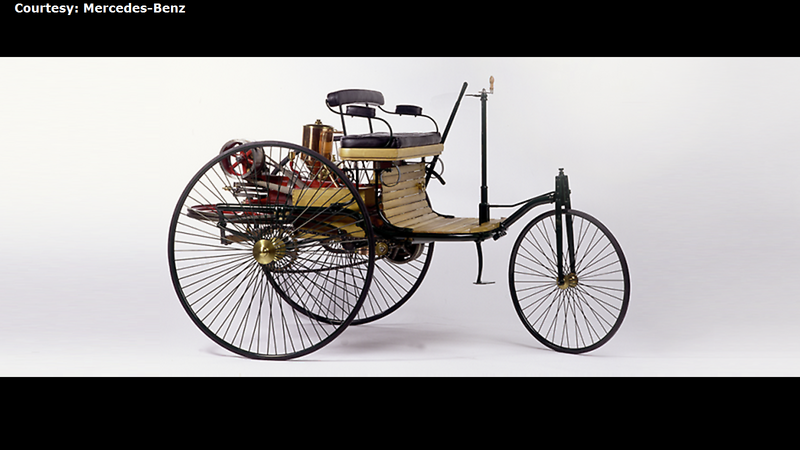 Designed in 1885 and legally ratified via patent early the following year, the Benz Patent-Motorwagen had no precedent to draw upon. As it happens, Benz blazed a trail, inventing parts as he went along that we've since come to take for granted in the modern world. As the first true automobile, the Motorwagen also holds claim to the first ever automotive trip. Between the car's daring invention and the successful "first drive" that followed, it would be hard to overstate the significance this model had in shaping the modern world. Mercedes-Benz history is automotive history as it were; as undying fans of this company, it's fascinating to see how far back the genius really goes. Karl Benz was an engineer-turned-inventor who benefited from being able to look "outside the box." Not unlike the early pioneers behind the personal computer revolution a century later, the origins of the automobile were about as intimate as businesses come. Karl had created a strong name for himself as a designer of engines, while his wife tended to matters of finance and bookkeeping. The three-wheeling prototype, now immortalized in history, was essentially a project on the side while he continued to produce engines. 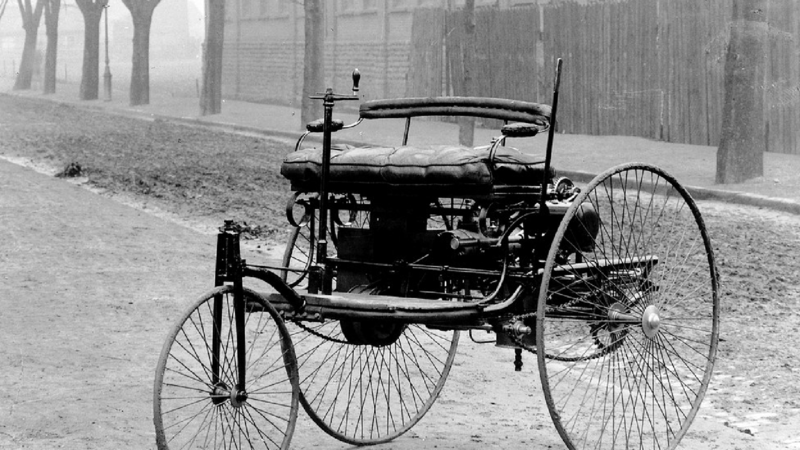 The first Benz Motorwagen took shape in 1885. 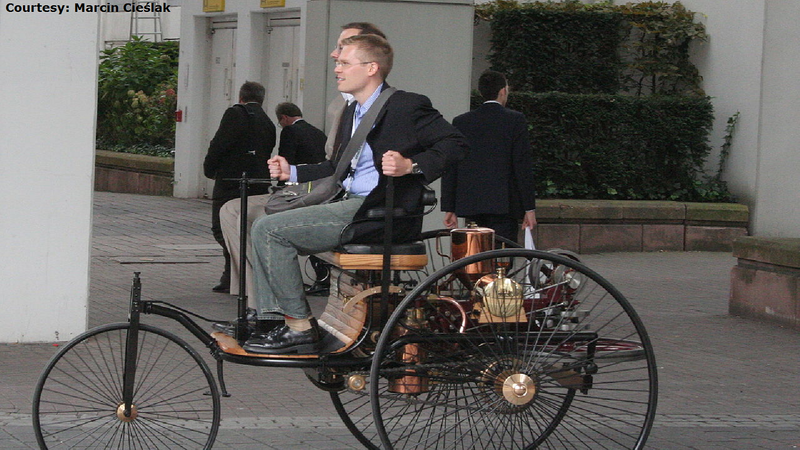 By the first month of 1886, the Motorwagen design was legitimized via German patent #37435. >>Join the conversation about the first ever automobile right here in MBWorld. While Karl Benz was the inventor and "vision" behind the Motorwagen, his wife Bertha has earned an equal level of fame. This is at least in part due to the fact that she was technically financing the operation, thanks to a wedding dowry the couple received through her. More than that though, she would go down in history as the first person to go for a real drive. But more on that in a bit. The Benz Patent-Motorwagen came equipped with a 954cc single-cylinder engine. The prototype was constructed with steel and wood, with solid rubber for the tires. The invention's steering mechanism used a "toothed rack," for rough but functional handling. The handling didn't need to be so sharp in any case; even improved later versions could hope to reach a maximum speed of about 10 miles per hour. While it may not sound like much, (it really isn't) it's really incredible how many design features of this model have persisted to the present day in some form. Brakes, a fuel tank, steering; all of these are easily looked over as obvious, but there was someone who had to figure them out first. As legend has it, Bertha Benz took the Motorwagen out for a drive without running it by her husband. In the Summer of 1888, two and a half years after first patenting the design, Bertha took it for a 121-mile trip, taking the couple's two sons along for the ride. She made the trip in order to give Karl's design the public exposure it needed to bring them success. She shared her husband's remarkable mechanical acuity and demonstrated it over the three-day trip. She conducted a series of ingeniously improvised repairs, not least of all which included insulating a wire using her garter stockings, and carburetor with nothing more than a hat pin. 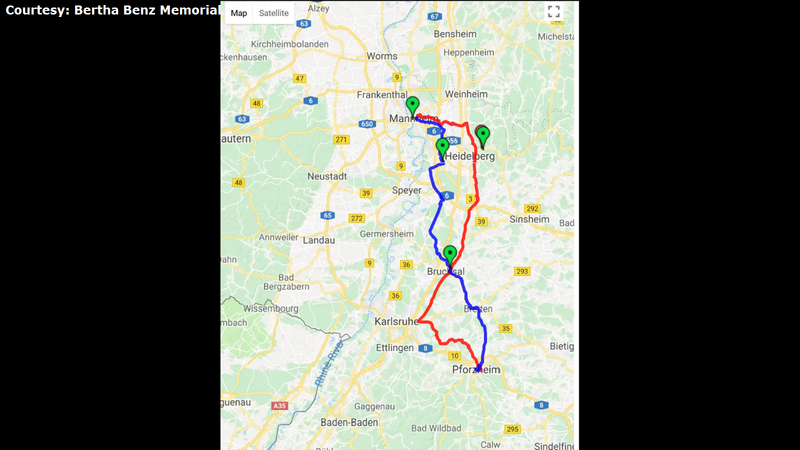 As the world's first automobile drive, the route she took has taken on legendary significance, and auto fans often drive the Bertha Benz Memorial Route as a rite of passage. Karl Benz' immortal design would see roughly twenty-five models produced between the 1886 patent and 1893. While there have been modern replicas like the one pictured here, we're not sure there's any way of being able to approximate how a car like this would have felt to drive at a time. There was practically nothing else like it. As the trailblazers, perhaps it's fitting that Mercedes-Benz is still seen as a sort of automotive royalty. It's impossible to imagine the modern world without many of the ideas Benz threw together in his workshop. We've got to wonder what the man himself would think if he were alive to today to see how cars have evolved. 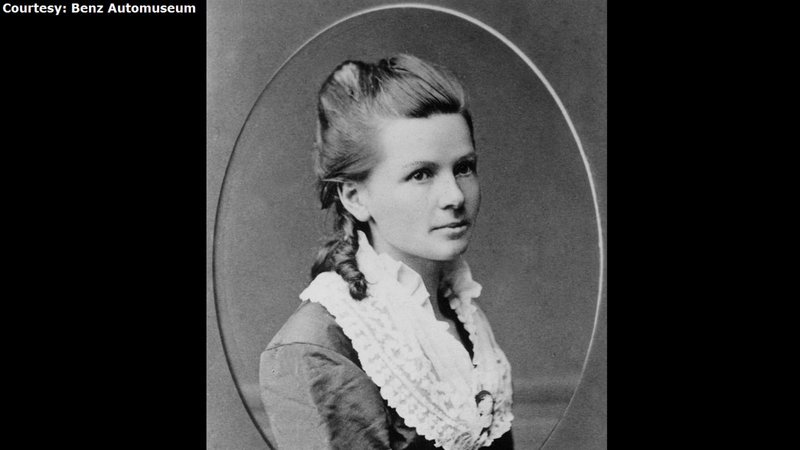 If you're interested at all in following the route Bertha Benz took for the world's first car drive, the German government has approved a non-profit site dedicated to the journey, which you can access here.